Skike V08 Tour lets you roll with a classic and or skating technic. This is accomplished by the multifunctional heel lift which adjusts to the way you skate (style & intensity of heel lift). 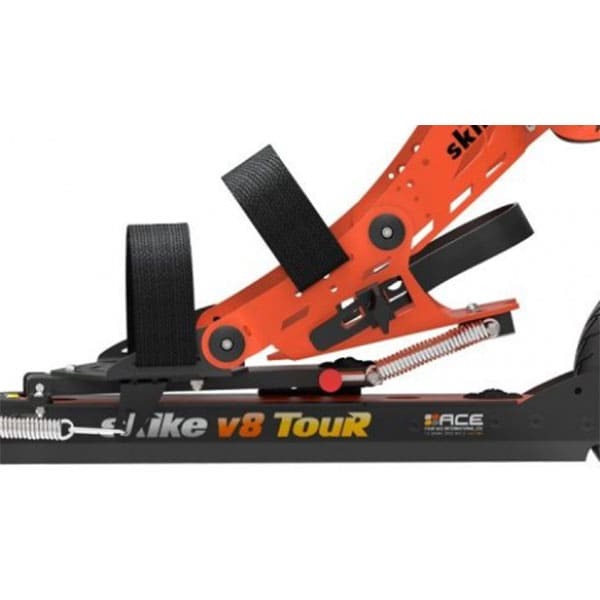 The mechanism makes Skike V08 Tour also easy to control & roll with even for beginners. You get to choose your own footwear for Skike V08 TOUR. Skike v8 TOUR has multifunctional heel lift technology which makes Classic and Skating technique possible. 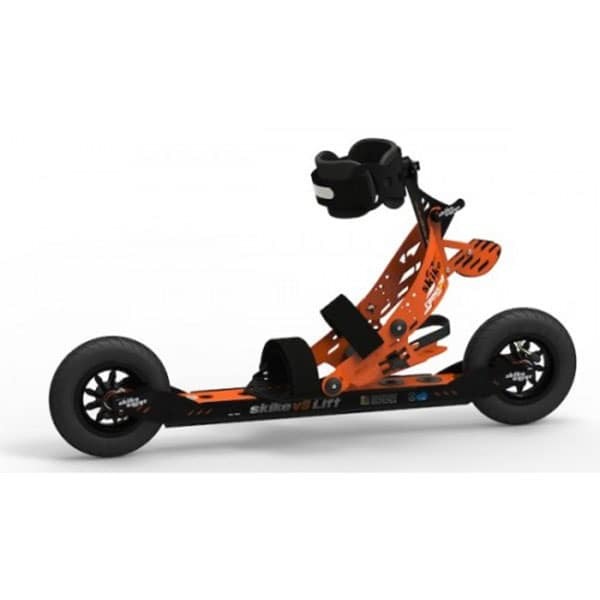 The heel lift mechanism adjusts automatically depending on the type of skating style and heel lift intense you ride. It can be set to a minimum lift position with a special locking screw. This position we recommend for beginners and all tours on rougher surfaces. The multitechnology heel lift is supported by 3 bearings on the ankle, the ball of foot and the toes. The mechanism pulls the frame with tires back to the foot if the heel is lifted only a small distance. If the heel is lifted higher the mechanism pushes the frame back away from the frame. These features make Skike v8 TOUR easy to ride and perfect for classic and skating technique. 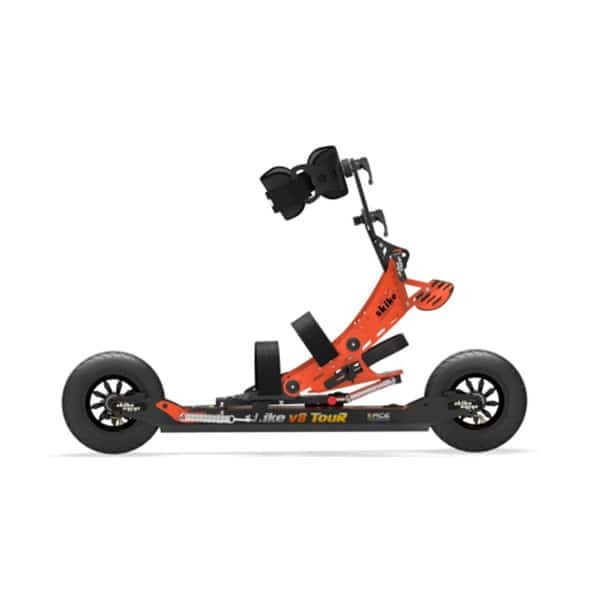 Skike TOUR has also been constructed as an alternative to nordic walking to serve as a “skate walker”. Reverse lock bearings are included on both front wheels.